When’s the last time you went surfing at a party? Throw a party people will never forget with a mechanical surfboard. Great for age 5yrs and up, settings go from ripple to tidal wave so anyone can have a go. 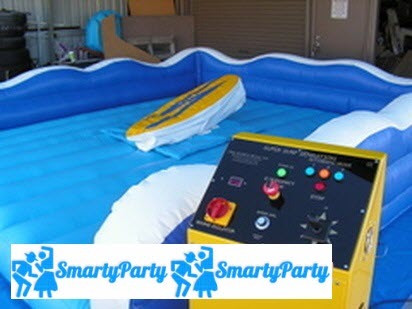 The Mechanical SURFBOARD is perfect for all corporate events, community fun days, and adult backyard parties.